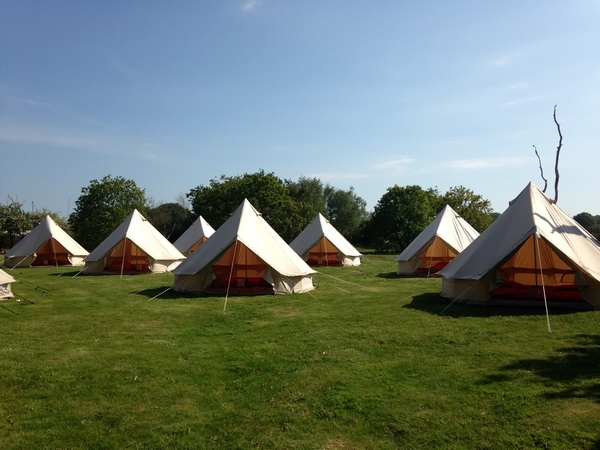 Woodland one way, the sea the other – this marquee wedding venue incorporates a private seashore and licensed ‘Deck of Love’ with a stretch tent seating over 200 Chris and Alice Snell’s 300 acre estate on Hayling Island includes three licensed areas for wedding ceremonies. We talk to Chris about the flexibility the venue offers couples and how “sharing the love” has helped preserve the woodland areas for future generations. When did you start your venue business and what is its history? We have been holding events at Tournerbury since 1990; our first wedding event however was our own wedding in 2002. Since then we have held weddings, corporate events and a number of local and national charity events. Tournerbury is on the eastern side of Hayling Island, Hampshire, on the county border with West Sussex. The estate includes 50 acres of private woodland, with 250 acres of inter-tidal habitat on a peaceful tidal creek in one of England’s most beautiful natural harbours. 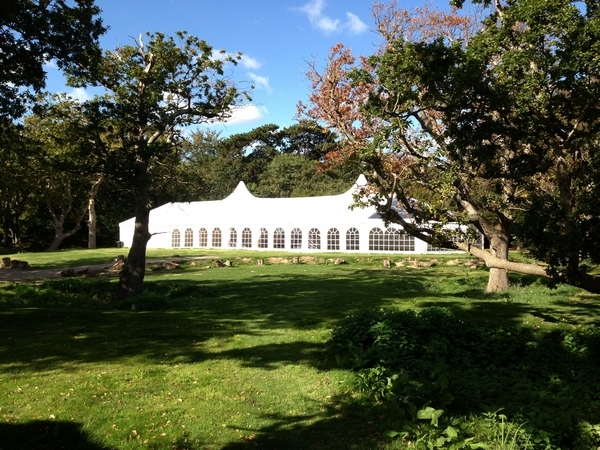 It is a unique and unusual marquee wedding and event venue offering access to both woodland and private seashore. 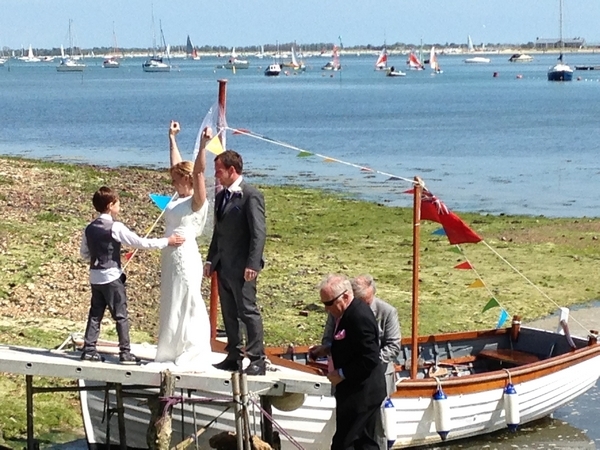 We are fully licensed for wedding ceremonies by Hampshire County Council. Tournerbury has a great sense of space and tranquillity, and offers seclusion and privacy. 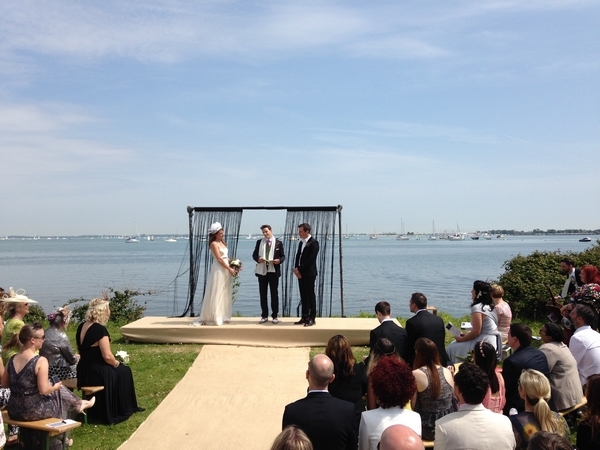 Far reaching views across Chichester Harbour with a stunning woodland backdrop make Tournerbury a truly memorable setting for weddings or events. Also available to hire for accommodation is the beautiful Woods Cottage. The space and freedom of Tournerbury can accommodate all sorts of ideas for events. Clients can arrive by boat or helicopter, or incorporate fun garden games or entertainment for guests. Tournerbury is dog and family friendly, and we are able to give clients the freedom to design weddings or events as they wish (within reason and within our licensing constraints), and to source many suppliers of their choice. What facilities for outdoor functions do you offer? Tournerbury is a marquee venue and we are fully licensed for wedding ceremonies and receptions by Hampshire County Council. 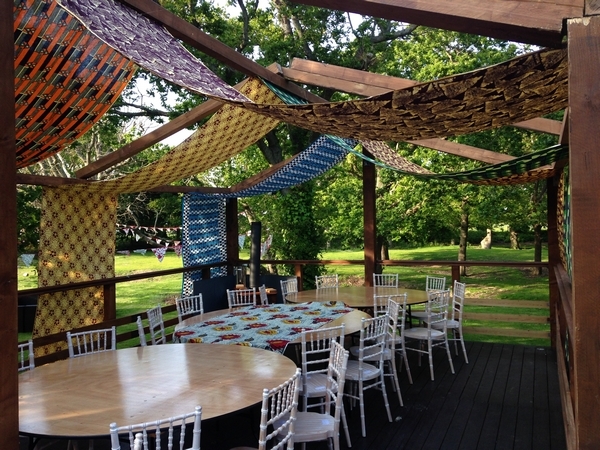 Ceremonies can take place in one of three special locations – our very cool ‘Deck of Love’ (a large deck area covered with a wonderful stretch tent that can accommodate 200+ seated guests), our romantic Victorian gazebo or, for a really intimate setting, ceremonies can take place inside Woods Cottage. Tournerbury is a very flexible venue offering clients the opportunity to shape, design and make up their day as they wish. 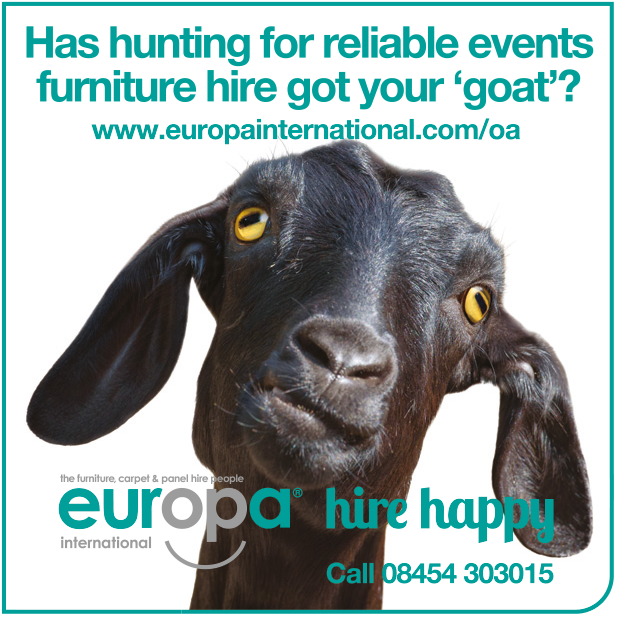 We have a number of local recommended suppliers however clients can source their own suppliers if they wish. Our beautiful marquee was researched extensively as we wanted guests to be able to make the most of our wonderful woodland views. It therefore has windows most of the way around, which can be rolled back to open up completely on warmer days. The roof is also clear canvas at one end so guests can see the tree canopy above them. This end is particularly favoured for top table seating. Our ‘Deck of Love’ was an existing structure which we have covered with a stretch tent inspired from our own honeymoon adventures in Botswana. The cabin on the deck is licensed for wedding ceremonies and the deck can accommodate over 200 seated guests. It is also fully accessible for wheelchair users, prams and buggies. The Victorian gazebo is a romantic structure which allows couples to have an intimate ceremony while their guests are seated outside on our lawns. We also have a cool fire pit area beside the marquee which is a great place for guests to congregate around into the evening. How do you work with your customers to make their event unique? We allow our guests a fair bit of freedom (taking into consideration our licensing regulations) to design and shape their days as they wish. 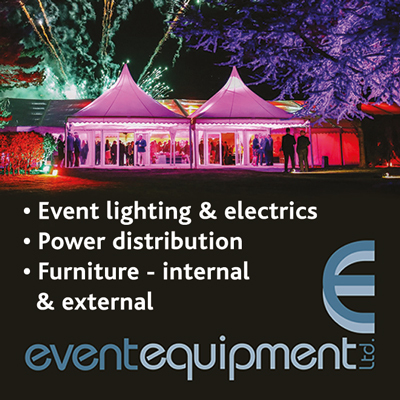 We are always on hand with advice however and provide clients with a comprehensive document outlining what is possible and not so possible at the venue. At the start of each season we invite our clients to the site so that they can have another good look around and shape their plans, discuss ideas with us and meet local suppliers. Clients are also always welcome to pop back (by appointment) and look around the site ahead of their day. How do you publicise yourself? We market Tournerbury via our website and Facebook pages. We also have listings on various national wedding venue marketing sites such as Hitched, Rock My Wedding, Country House Wedding Venues and Coco Wedding Venues. As well as online marketing we rely on local word of mouth. How would you describe your ‘style’ or unique selling point? Our USP is definitely our beautiful site – it’s a woodland beside the sea, which offers clients a fantastic combination of views and scenes to base their event around. We are also fairly relaxed in our style and give couples a fair amount of freedom to shape their event as they wish. The current trend for festival-type events really lends itself to our site. We are very conscious of our neighbours and try really hard to ensure that they are not negatively impacted by noise from any of our events. This can be challenging as many clients would ideally like music, for example, to play on into the night, however we need to abide by our licensing regulations which are in place for good reason. We have also invested in a fantastic sound system called a “Zoneray” which helps hugely with sound control within a marquee structure. Have you worked with any industry bodies or consultants, and how have they helped you? We work closely with our local authority and environmental bodies to ensure they are happy with our activities – including Environmental Health, planners, the county registrars, and Natural England. We also have close links with industry experts such as Kelly Chandler which can be very helpful at times, since contact with other venues is often tricky as we are all competitors! We are really keen to expand our current corporate offering, to help utilise our space when weddings are not taking place. We are also very excited about working with a local charity to bring the woodland experience to local children and disabled groups who might find accessing woodland areas a challenge generally. First I’ll check emails as many clients often get in touch by email during the evening, and get back to as many queries as possible. 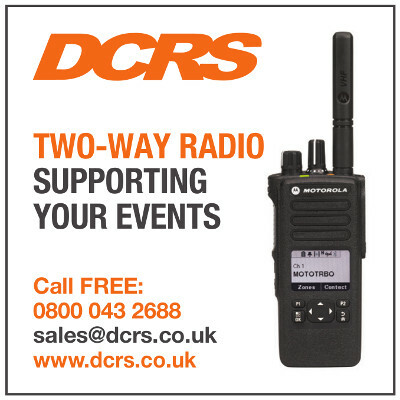 New enquiries are always important to get in touch with as quickly as possible. At mid-morning I might pop down to the venue to check that our cleaners have everything they need. There are inevitably some jobs to do – tidying up, mowing lawns etc. I might have a meeting with a client on-site to discuss their plans for their event. If there is a wedding or event the following day, suppliers may drop off items or indeed clients may be on-site starting to set things up. If our venue manager is on-site I will catch up with her and make sure everyone is happy. Our grounds staff are usually around making sure the site is in tip top condition, so I’ll always check to see that they are clear with what they need to do. Later in the day I may find myself doing accounts, marketing or sales. Evenings are often taken up with viewings from potential clients as they head to see us after work. The lighter evenings are always so much more helpful for this and it’s a pleasure to be down in the woods as the light changes and the sun sets. If I get the chance for a walk over to our sea wall to look at the harbour I will always try to do so – it’s just a magical place to have an office! What do you enjoy about the business and why? I enjoy being in a business which is about creating wonderful and happy memories for people. It’s definitely hard work – physically and mentally, and some clients are more challenging than others, but on the whole I get a good dose of being outside and inside, lots of variety and usually never a dull moment! 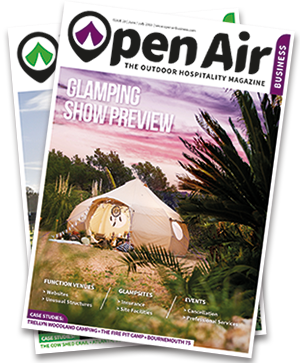 What other outdoor hospitality sectors do you operate in? 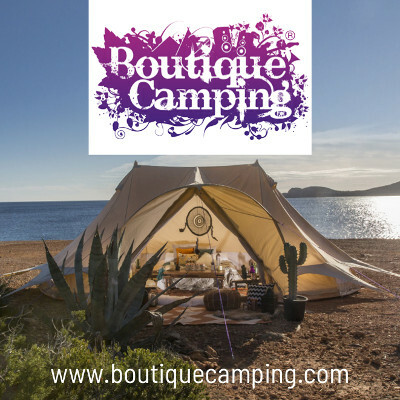 We currently just run the venue for weddings and corporate type events but are looking into on-site glamping. What advice could you give to someone coming into the industry? You definitely need to be prepared to be a “jack and a master of all trades” – I flit from being a business director, to a CFO, CIO, head of marketing, groundsman, handy man, cleaner and sales director in a matter of hours!